For over the past decade, Razer has become on of the most well known gaming peripheral manufacturers in the world, which is why when Razer decided in late 2011 to jump in headfirst as a systems integrator with the custom designed Razer Blade, I was quite skeptical. After all, it’s not everyday you see a company go out and spend the R&D to custom design a new laptop from the ground up. However to my surprise, despite the Blade’s exorbitant pricing, under-powered specifications, and so-so reviews by many media outlets, the first generation Razer Blade was actually very well received by the market thanks to its sleek, unique, portable, and very exclusive design truly created for gamers, by gamers. 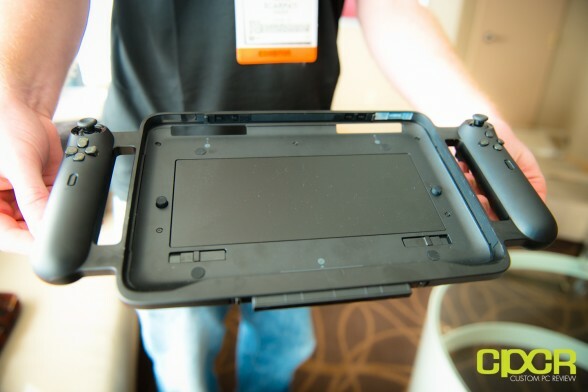 After Razer established themselves as a force in the system integrator market, they went a step further and introduced Project Fiona at CES 2012. Project Fiona, for those of you that don’t remember seeing it, was a full-on Windows based gaming tablet. Unfortunately, Razer at the time decided to permanently attach the tablet to a controller, which I thought was extremely stupid, and compounding this with the fact that Windows 8 with its touch enabled functionality hadn’t yet seen the light of day, Project Fiona just seemed a bit ahead of its time. After Project Fiona’s announcement in CES 2012, it quietly disappeared for the rest of the year and quite frankly, I thought Project Fiona was something that’d be shelved for all eternity. Thankfully, I was wrong. It seemed like Razer engineers had been working hard on the concept as they’ve designed a new tablet from the ground up, crowd-sourced a bunch of ideas and gave it a much nicer name. What they came up with was the Razer Edge. The Razer Edge is a 10.1″ gaming tablet running a full version of Windows 8 and has many unique features that make it pretty damn awesome. Let’s start with the specs. Unlike most other Windows 8 tablets, which are underpowered web browsing machines, Razer instead designed something a bit more powerful. In the process, they managed to stuff the Edge with a full fledged Intel Core i5 or i7 ULV processor, 8GB of DDR3, Nvidia GT 640M LE 2GB graphics, a maximum of 256GB SSD storage, Intel WiFi B/G/N, Bluetooth 4.0, and a 10 point capacitive 10.1″ 1366×768 IPS display into the Edge. With specs like these, you’d think that I’m describing a top tier Ultrabook rather than a tablet, but instead I’m talking about a tablet with all this hardware packed tightly into a neat little chassis that weighs less than 2 LBs. The Edge itself has a total of four different modes – tablet mode, keyboard mode, mobile console mode as well as home console mode. Let’s talk about each of the modes. Tablet mode is quite simple. Without any of the accessories, the Razer Edge is pretty much going to be a Windows 8 tablet, but with powerful graphics and a fast CPU. 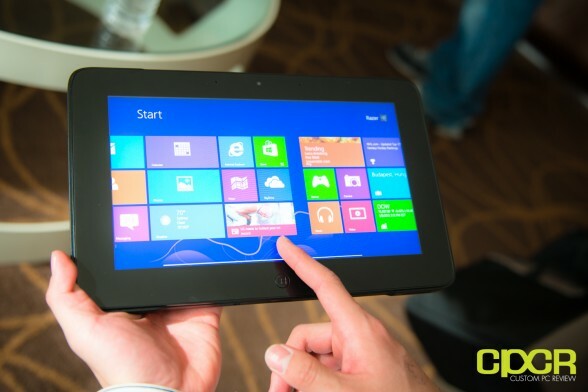 This means that any Windows 8 touch based games can be played on the go. For example, Razer had Civilization V available as their touch enabled game demo. While I’d rather have mouse and keyboard, Civ V was definitely playable through the touch interface although a bit difficult since it definitely wasn’t designed for a 10.1″ screen. Of course, you can also play stuff designed for screens like the one on the Edge such as Angry Birds, Plants vs Zombies, etc. Keyboard mode is basically the Edge dropped into a keyboard dock that you can purchase from Razer for $199.99. This dock will act as a case for the Edge when not in use, but will be able to transform the tablet into a laptop once opened up. I feel like this should be ideal for meetings or classroom situations given the size/weight of the edge. Of course, it’s also good for on the go gaming as well if you bring a mouse, but I’d much rather prefer home console mode as you’ll see in a bit. Also above, you can see that Dishonored is running as well. From my hands on experience with the game, Dishonored was definitely running very smoothly with decent graphics although the exact graphics settings were unknown. There’s also mobile console mode, which is an attachment that most resembles what Project Fiona looked like. Basically handlebars will stick out of either edge of the Edge and will simulate the feeling of having a controller. The controller will retail for $249.99. In mobile console mode, I demo’ed DIRT Showdown and while the controller was a lot more comfortable than I’d have expected, I didn’t really see myself playing in this mode for a long time. With the 2 LB tablet along with the mobile controller and extended battery, the entire setup felt pretty hefty and I think it’d be difficult to hold the entire setup for more than a hour at a time. Of course, I’ll reserve final judgement once I actually get one of these samples in, so stay tuned for that. As mentioned earlier, I’m also told that there will be an extended battery that can be shoved into the controller accessory, but I’m not sure if it comes with the controller at this point. Above, you can see that the battery is removable and resembles a laptop battery. If it’s not available with the controller, it should be available as a standalone purchase. Finally, there’s my favorite mode, home console mode. Home console mode is basically a dock for the Razer Edge, which will retail for $99.99 (cheapest of the accessories) and will give the Edge 3 additional USB ports, HDMI, microphone in, headphone out, and an external power port. Personally, I think this mode may be the most versatile of all. As you’d expect from the name of this mode, the dock will allow the Edge to become a home console. HDMI to TV and gaming controller to USB port. You get the idea. Games can be played on the big screen and multiple controllers can be connected to simulate a home console experience. However, what I find even more awesome about home console mode is something Razer isn’t even advertising for some reason – the fact that instead of connecting the Edge to controllers and a TV, you can instead connect this puppy to a monitor + keyboard/mouse or simply just connect it to a keyboard/mouse. This makes the Edge a fairly powerful desktop replacement or even a notebook replacement (if that even exists). Additionally, for PC gamers who predominantly play games that don’t require a ton of graphics performance such as Starcraft 2, Diablo 3 or League of Legends, the Razer Edge can effectively become a portable gaming station that will deliver excellent framerates and can easily be taken on the go. Like I said earlier, so far I’m quite impressed with what the Edge has to offer – not so much the unique controller that gave Project Fiona its claim to fame, but moreso the fact that Razer was able to cram all this powerful hardware into such a small formfactor. Those on the market for both a tablet and an Ultrabook may find that the Edge is exactly what you’re looking for. In terms of game testing, I was able to get very playable framerates in all the games that were demoed (Civilization V, Dishonored, and DIRT Showdown), which is much more than you can say about any tablet (and most Ultrabooks for that matter) on the market today. That said, I only had a good 20-30 minutes with the thing and maybe 10 minutes tops in each mode with only 3 games at this point, so it’s difficult to make a solid conclusion, but hopefully I’ll get my hands on one of these so I can make a better decision. Until then, be sure to check out the Razer Edge and the Razer Edge Pro at the product pages here and here, respectively. It’s a tablet. It’s a PC. It’s a console. It’s all of the above: a full-feature PC and the most powerful tablet in the world. What’s more, it has four modes specially designed for gamers and is able to run all PC games and applications. Razer™, the world leader in high-performance gaming hardware, software and systems, today announced it intends to send its highly-acclaimed Project Fiona PC gaming tablet concept into production and retail distribution this year as the “Razer Edge” in North America and Asia Pacific. The world’s first gaming tablet for PC gamers was also designed by PC gamers, as a massive crowdsourcing effort put into place by Razer targeted millions of gamers to determine final specifications for the Edge. Razer let its community (and the PC gaming community as a whole) decide the end-game chipset, weight/thickness, features and even price for the Edge, and hosted the initiative on its social media pages (Go to www.facebook.com/razer and www.twitter.com/cultofrazer for more information). 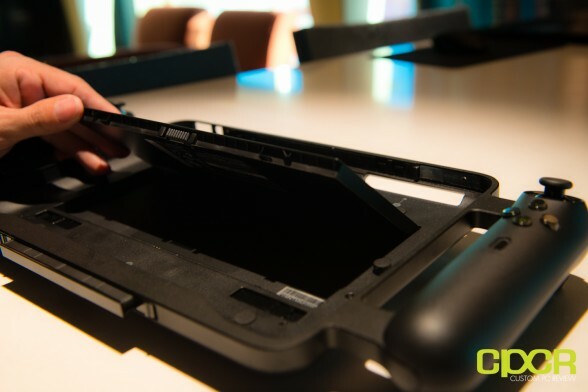 PC gamers ended up helping to design the most powerful tablet in the world today, the only system of its kind utilizing technology from both Intel and NVIDIA. Powerful 3rd generation Intel® Core™ processors will help ensure even the most advanced, full-fledged PC games will function at full capacity, and NVIDIA GeForce graphics will offer striking visual clarity—a first for tablet gaming and a godsend for the world’s 300 million-plus PC gamers. By way of a true Windows 8 operating system with Intel architecture, the broadest array of today’s most popular PC games will run natively on the Razer Edge without the need to be ported, optimized or developed anew. That functionality out-of-the-box is prevalent in any of the Razer Edge’s modes, as the tablet offers a myriad of form factors. It’s a tablet, it’s a PC, and it’s a console. 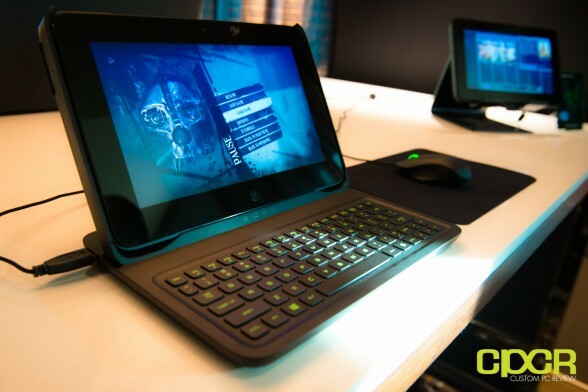 The groundbreaking system will be available in two types: a standard Razer Edge and the Razer Edge Pro model. The base model is equipped with an Intel® Core™ i5 processor, NVIDIA GT640M LE GPU, 4 GB of DDR3 RAM, and a 64 GB SSD. The Razer Edge Pro comes replete with an upgraded Intel® Core™ i7 processor, NVIDIA GT640M LE GPU, 8 GB of DDR3 RAM, and a 128 GB or 256 GB SSD. Both models will be available in Q1, with the Razer Edge starting at $999. The Razer Edge Pro will additionally be offered in a bundle package with a Gamepad Controller in both the 128 GB and 256GB SSD model. Each model is available at a wide-range of retail outlets and online at www.razerzone.com, and includes a USB 3.0 port and supports Bluetooth 4.0. 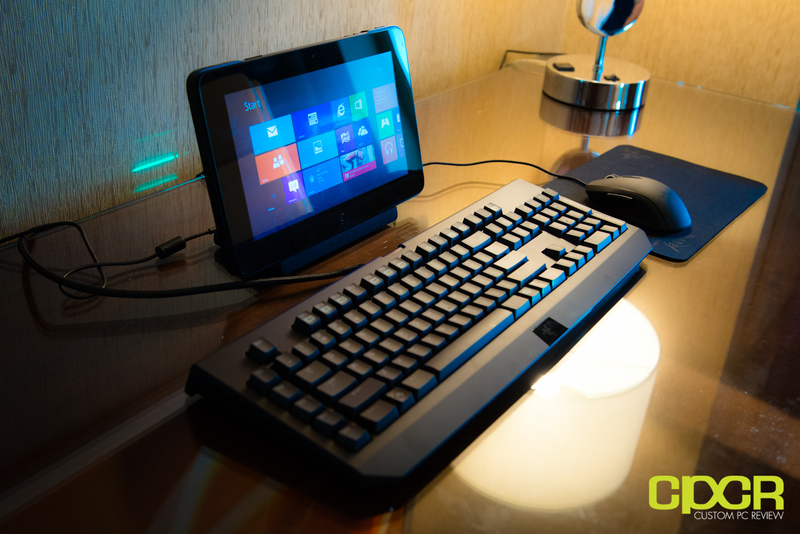 Four dedicated configurations offer maximum versatility for Razer Edge users: Tablet mode, Keyboard Dock mode, Gamepad Controller mode and Docking Station mode. Tablet mode avails the Razer Edge with multi-touch capabilities for full Windows 8 applications, movies and music playback, in a traditional tablet form factor. An optional Keyboard Dock gives the Razer Edge the laptop experience with a traditional keyboard and mouse, supporting a removable 40 Wh battery, so gamers can play their favorite keyboard and mouse reliant PC titles (Q3 2013). 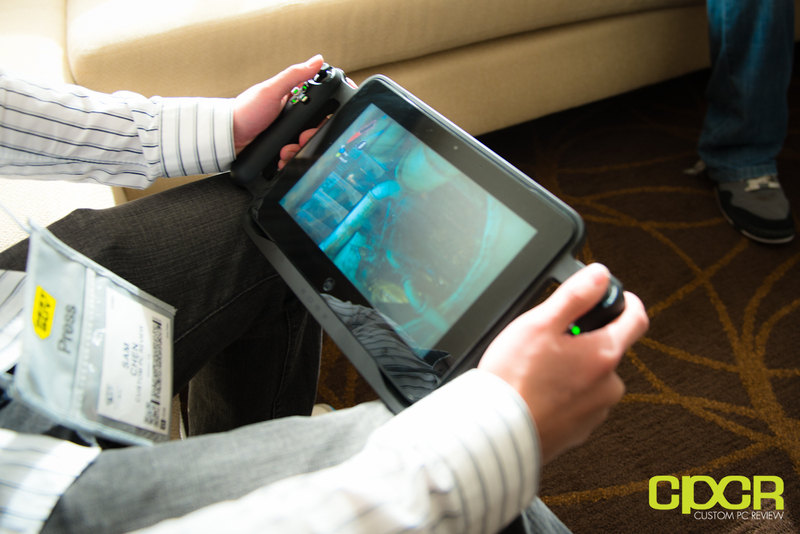 An optional Gamepad Controller turns the Razer Edge into a mobile console, offering an immersive, portable gaming experience. A fully programmable dual controller interface with precise analog sticks is unique among all tablets, featuring the ability to play any PC game “out of the box,” along with immersive vibration-feedback, so players can “feel” every in-game explosion and recoil. (Preorder now; MSRP: $249, available at www.razerzone.com). 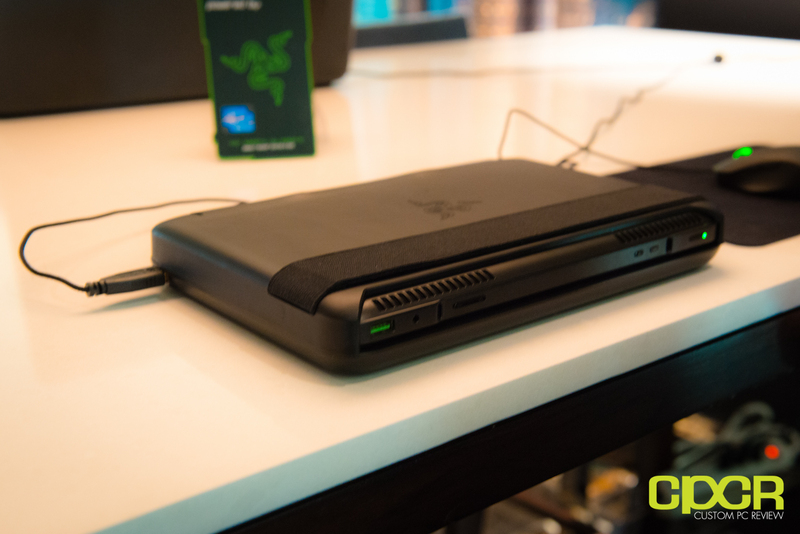 An extended battery (Preorder now: MSRP $69, available at www.razerzone.com) is able to connect with both the Keyboard Dock and Gamepad Controller, and doubles battery life for the Razer Edge. Finally, the Razer Edge can be docked in the Docking Station as part of home console mode, which serves as a full desktop and charging resource with three USB 2.0 ports, an HDMI 1.4 port, mic-in and stereo-out. 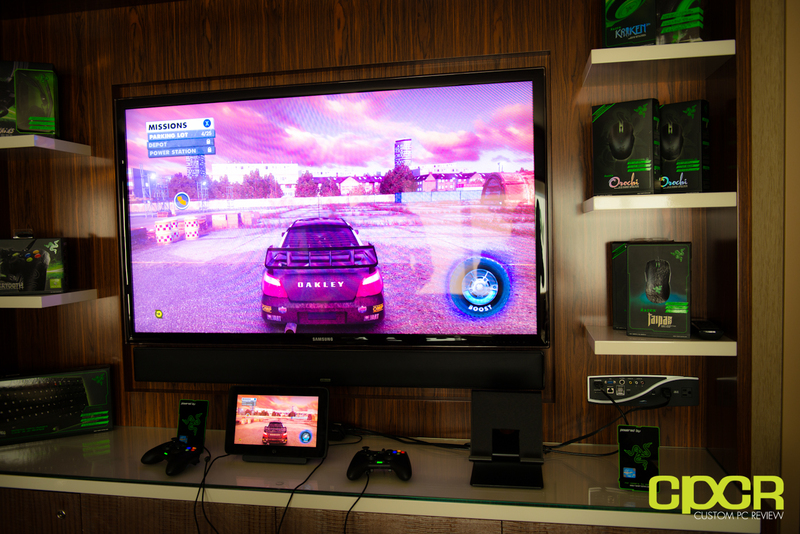 Hook-up the Razer Edge to the big screen with multiple gamepad controllers and Razer gear and tag team PC games with your friends for a complete home console experience. It’s the most versatile tablet on the planet. (Preorder now; MSRP: $­­­­99, available at (ww.razerzone.com). The Razer Edge tablet in its many forms is designed with ultra-precise accelerometers and a highly-sensitive, multi-touch screen. This provides game developers with fertile new ground for engineering game experiences around the hybrid control capabilities. 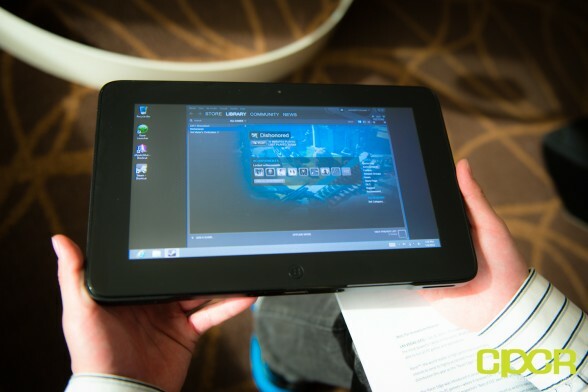 It also ensures current-generation PC games and those optimized for touchscreens run on the tablet. Future games developed for the Razer Edge are expected to take advantage of the integrated gamepad and functionality controls for the touchscreen and accelerometer-based movements.